Braden is using Smore newsletters to spread the word online. The integumentary system is an organ system consisting of the skin, hair, nails, and glands. The skin is only a few millimeters thick yet is by far the largest organ in the body. Here are some of the functions of the integumentary system. The integumentary system consists of the largest organ in the body, the skin. This extraordinary organ system protects the internal structures of the body from damage, prevents dehydration, stores fat and produces vitamins and hormones. It also helps to maintain homeostasis within the body by assisting in the regulation of body temperature and water balance. The integumentary system is the body's first line of defense against bacteria, viruses and other microbes. It also helps to provide protection from harmful ultraviolet radiation. 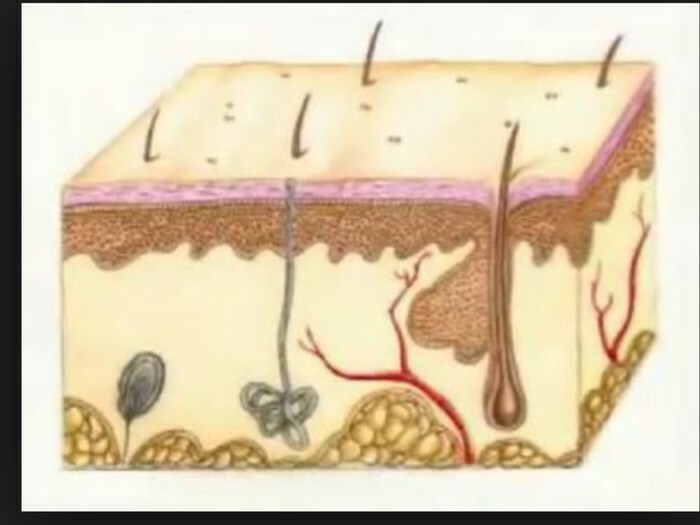 The skin is a sensory organ in that it has receptors for detecting heat and cold, touch, pressure and pain. 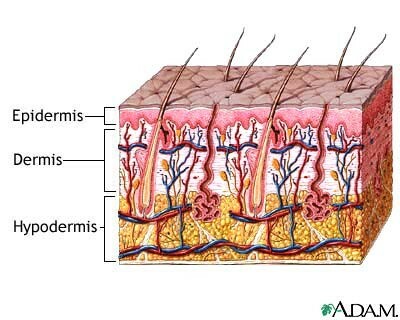 Components of the skin include hair, nails, sweat glands, oil glands, blood vessels lymph vessels, nerves and muscles. These are some ailments of the integumentary system. Diseases of the integumentary system. Dermatologists specialize in treating diseases, disorders and injuries of the skin, hair and nails. They treat common conditions such as acne and warts; chronic skin conditions such as eczema and psoriasis and more serious diseases like cancer to the skin.